Director General of the Security and Exchange Commission (SEC), Arunma Oteh on Monday spoke at the resumed hearing of the House of Representatives capital market probe. 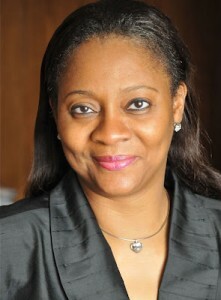 Oteh, who was involved in the much talked about “mealgate” scandal over the alleged spending of huge amounts of SEC funds on food and hotel bills, among others, yesterday flipped the script, and accused the Nigeria Stock Exchange of “weaknesses in corporate governance, weaknesses in risk management, weaknesses in internal control, insufficient oversight of brokerage firms and listed companies and inability to enforce rules. “The outstanding 92 Rolex watches valued at N99.5 million remained unaccounted for.” she added, pointing out that the council of the stock exchange spent N186 million on the purchase of 165 Rolex wrist watches, as gifts for awardees, but only 73 of the watches could be accounted for. Madam Oleh, why did you wait to be accused before speaking up. You 're as corrupt as the rest. Nonsense! This woman got jokes.smh. Ebuka's article come to mind,Why must you wait till you are accused of something before voluntarily becoming Madam whistle-blower.